Everyone wants a dream house where they could go to escape the world. Work is stressful, social engagements are taxing, and that laundry list of to-do's is never ending. Imagine putting the world on pause and getting away from it all. We've rounded up of some of the most perfect homes where you can do just that! 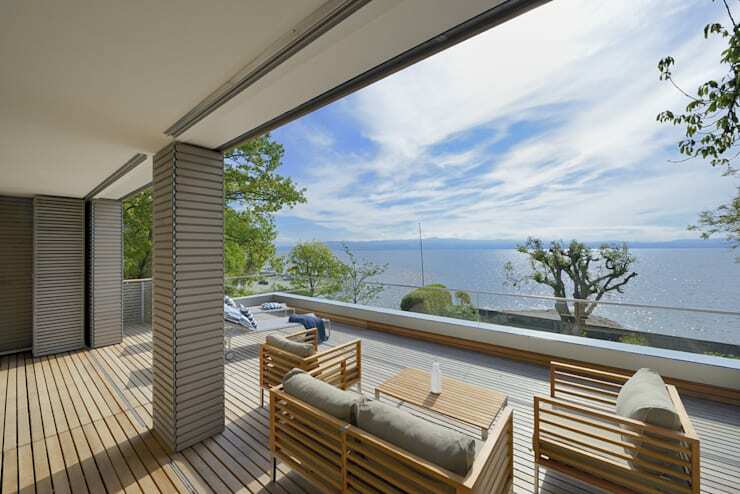 There are lots of architects on homify that can help you achieve your dreams of a getaway home. Get ready to book a departure ticket because we will tour some inspiring dream homes from around the world. This home in the woods is an excellent choice for a fall or winter getaway! We love the deck space and covered porch outside. 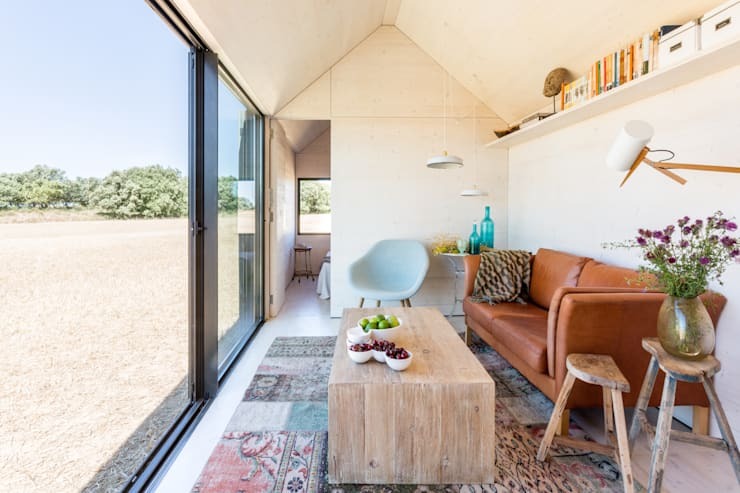 That glazing and sloped roof mean there’s a big bright space inside the home. A lovely place to escape to and enjoy the glories of nature. A look inside shows off a bright interior. The views of green trees outside is stunning! 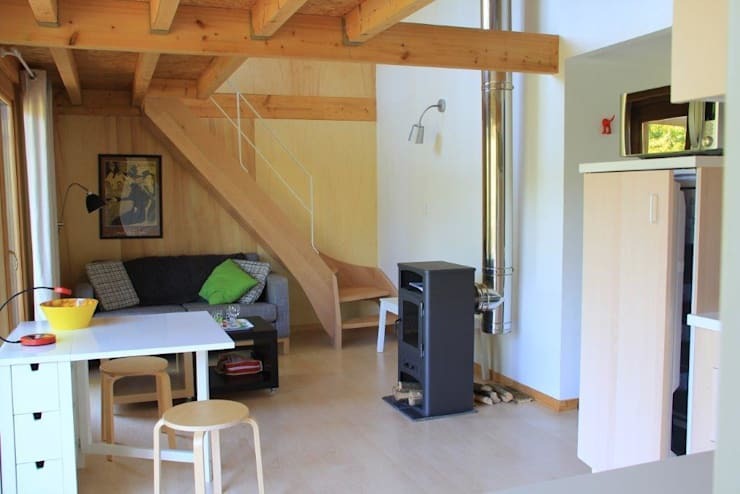 We love the light wood on the walls and floors that give the space a modern cabin feel. This home has striking modern style. The floor to ceiling windows open up the main floor beautifully. The balcony upstairs is just begging for us to sit there with our coffees in the morning to watch the sunrise! Here’s that incredible view from the balcony we love so much. It’s so nice to have a getaway by the water. What an inspiring home to relax and refresh yourself. This house is unreal. It looks like it’s taken straight from a fairytale. The house has a classic shape and is built with wood. The stone wall outside gives the property an old-world charm and the nearby pond is perfect to sit beside on a lazy afternoon . Looking inside we can see the gorgeous wood interior. 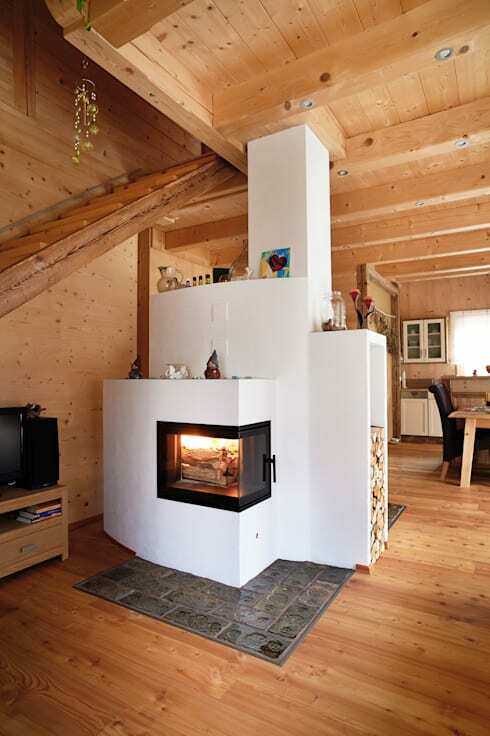 A modern bone white fireplace is in the centre of the attention, providing cozy heat in the winter. Imagine this house in the snow, it would look like a darling gingerbread home! This home looks like a redux of an italian winery. 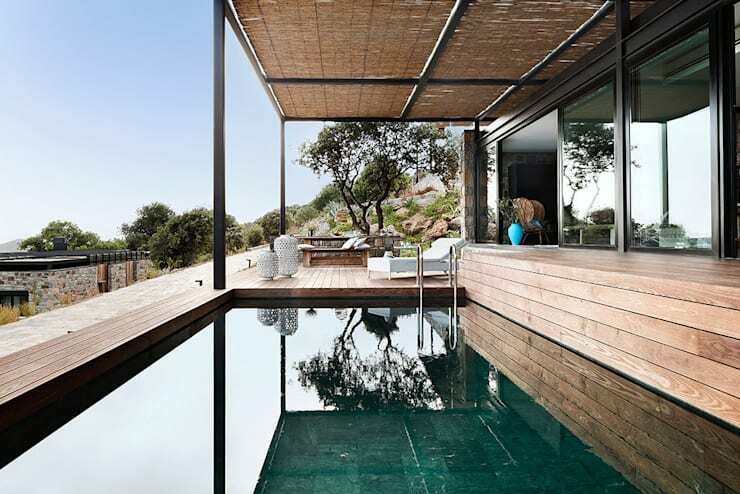 The stunning glazing is a perfect to view the panoramic hilly vistas. 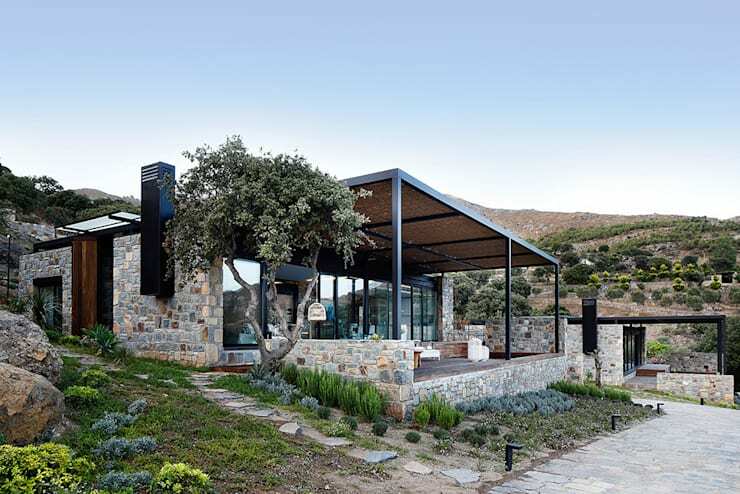 The simplistic landscaping helps the home blend in well with the hills. We’d love to have our getaway here! This home has a great pool surrounded by a stylish wood deck. The green tiling in the bottom of the pool makes it look like you could go swimming in an emerald. Even those who can’t swim would love to spend time by this pool. This incredible heritage house is brimming with countryside old world charm. 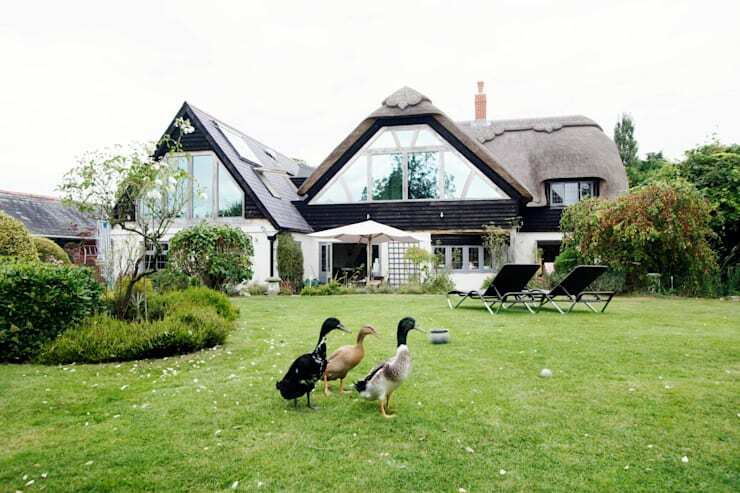 The incredible sloped thatched roof makes for a comfortable interior. 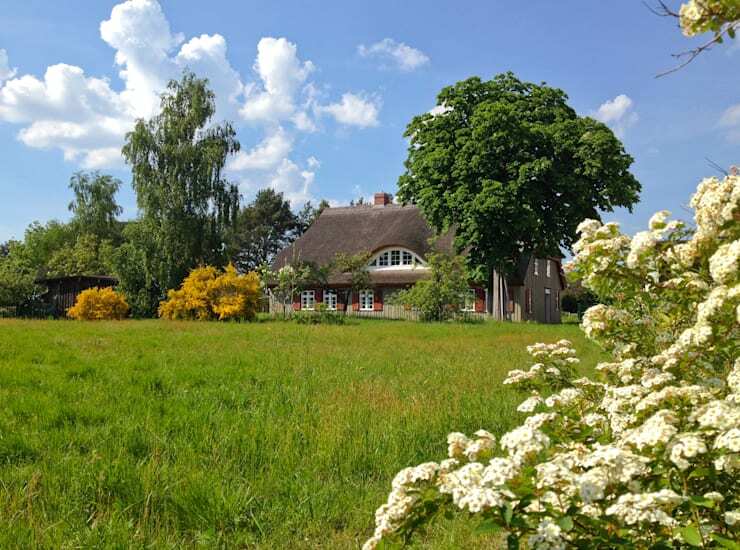 The idyllic green surroundings make this home idyllic for a getaway. 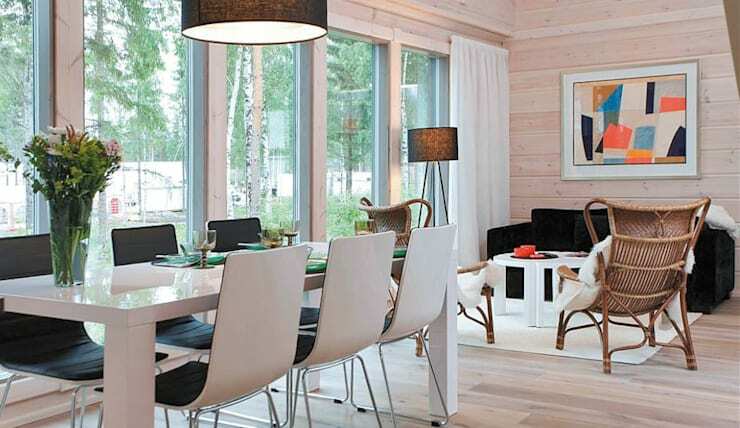 The stylish Scandinavian style interior of the home is breathtaking. Check out the wood beams and columns that support the house. A bright wash of white makes the space look serene. 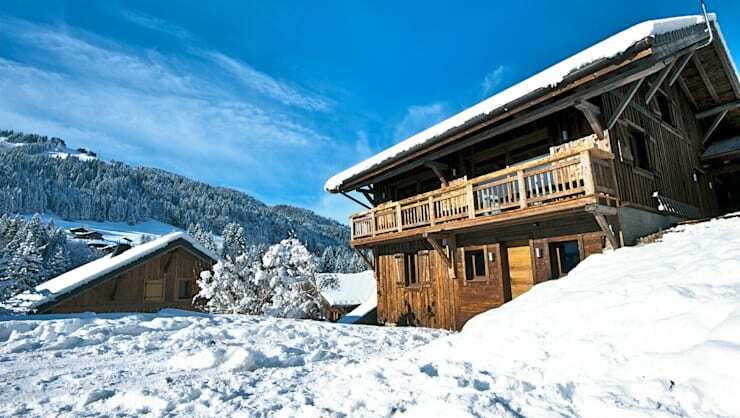 Nestled in snowy mountains, this home is a perfect little ski chalet. The dark nordic wood of the building is cozy and stylish. We would love to wake up to views of those snow dusted trees! 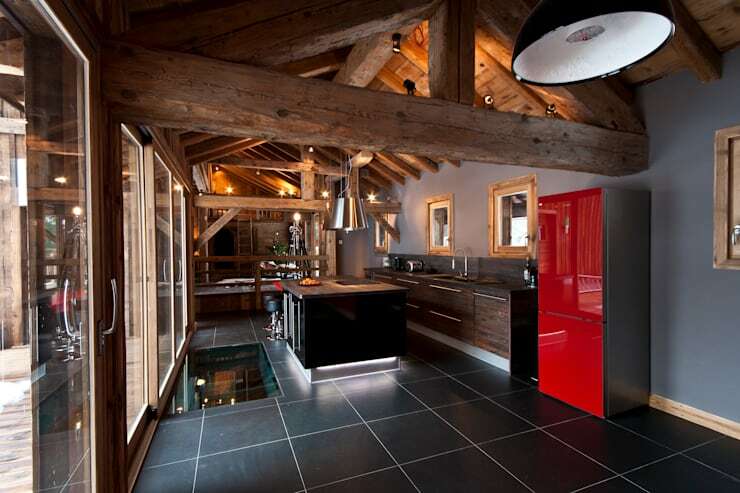 Stepping inside we can see sleek charcoal tiled floor and wonderful wood beams that give the home character and depth. The space looks upscale yet rustic. This is the light version of a chalet getaway! 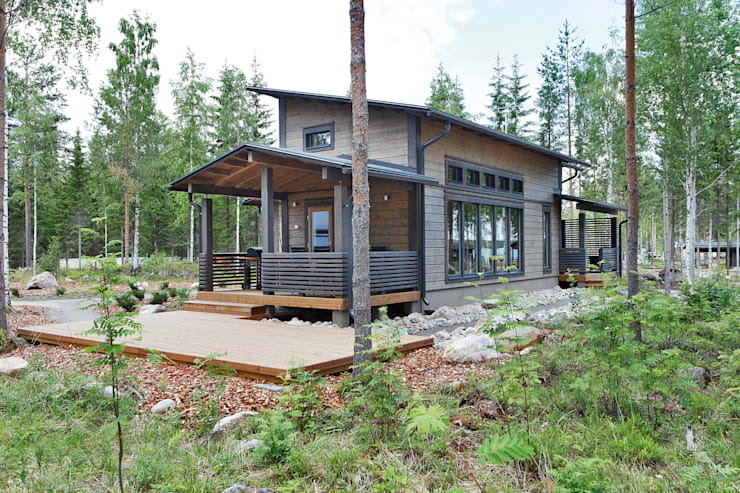 This darling small home has gabled roofs and a wrap-around style porch out front. We love the tree integrated into the style of the home. A look inside shows us the fun interior of the home. There’s a tiny fireplace with a cozy eating area nearby. White walls and pale wood make the space bright and homey. This stylish Mediterranean home has and cheerful bright terracotta roof tiles and white washed walls that make this home a stylish vacation spot. The colonial style building is endearing. 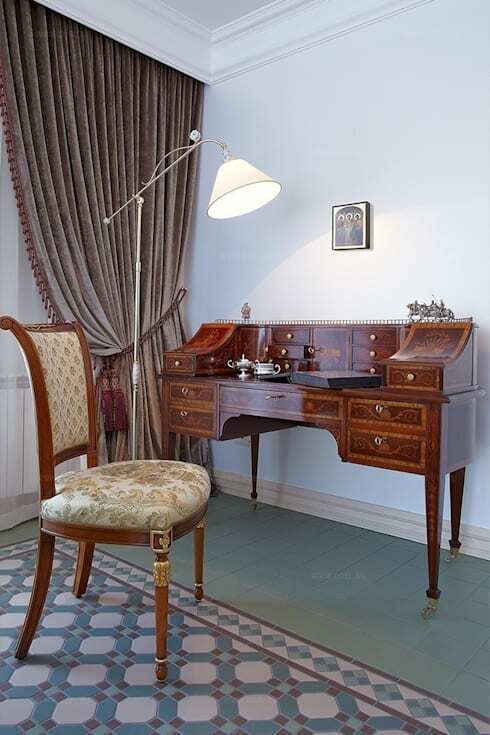 The home is regally furnished and full of great spots like this workspace. A getaway should have all the comforts of home with a fun twist! 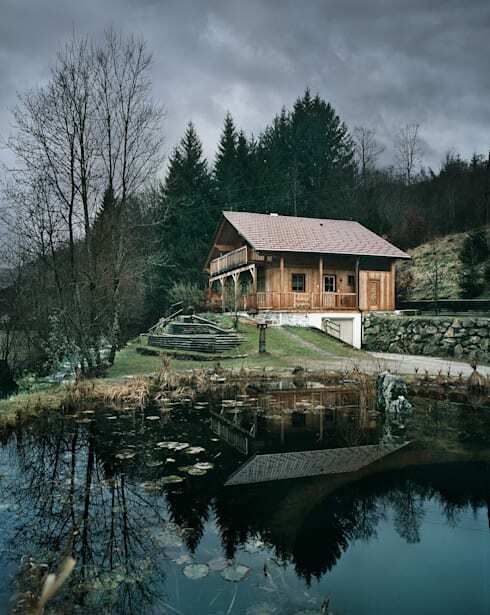 This fairy tale home looks like a perfect vacation spot for those who love a rustic getaway. The home looks like a modern take on the house from Snow White and the Seven Dwarves! Ducks may not be included. 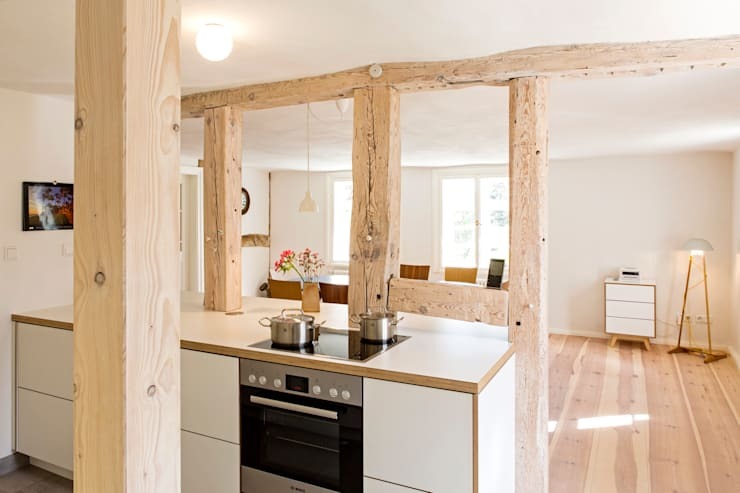 A look inside this home shows off the incredible glazing and charming rustic wood beam structure of the home. 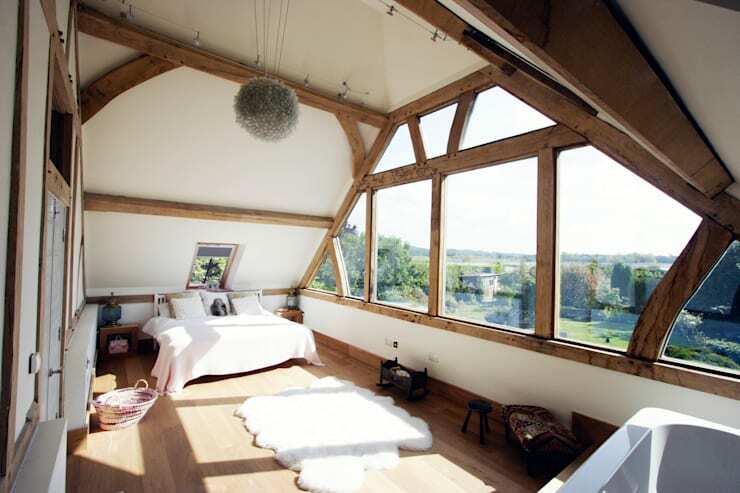 This is perfect bedroom for when you need a country getaway. 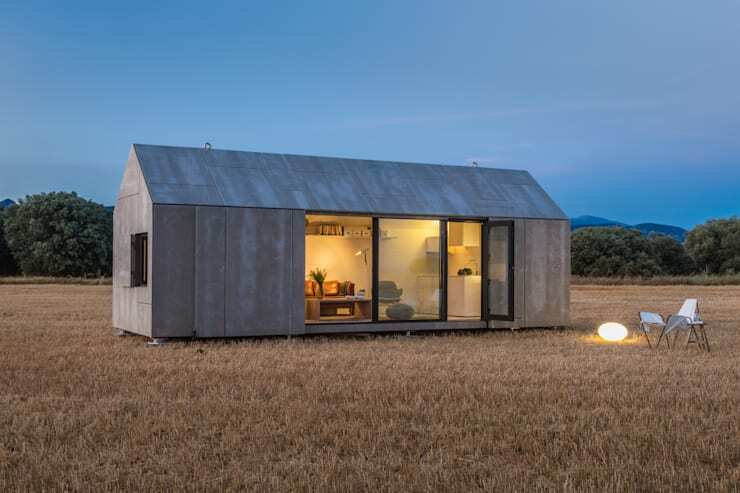 This modern portable tiny home is placed in the countryside amidst the grass. This is truly a getaway spot not to be missed. 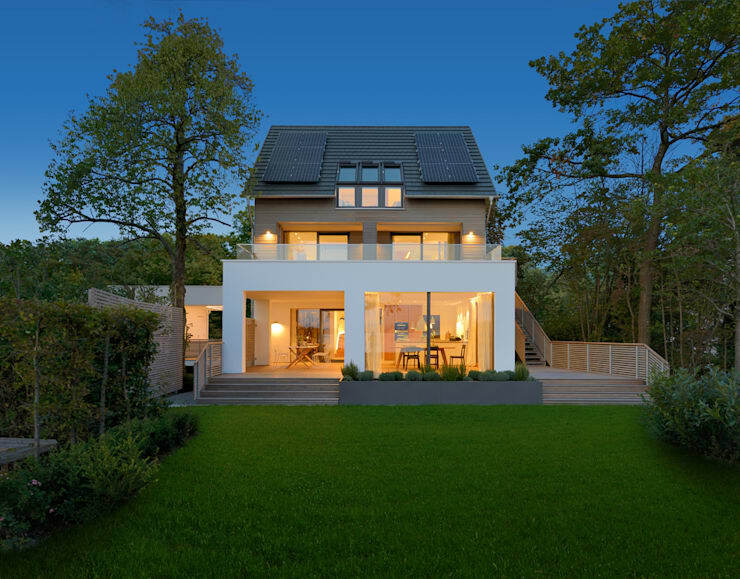 The modern concrete and glass exterior is paired with a gabled roof design. Slim and stylish! The interior shows off some modern and country style. We love the floor to ceiling windows and the homey decor in this portable home. Thanks for reading our list of incredible homes for the perfect escape! If you want more home inspiration, check out our feature on a home that finds a perfect balance of classic and contemporary.